David Bevilacqua - Cancer patient, LLS “Man of the Year” Candidate and the reason we are embarking on this campaign. David is alive today because of drugs funded by LLS research and he has been passionate and grateful supporter ever since. He has dedicated his life to eradicating this disease. His particular rare form of blood cancer is treatable but not curable, and he has been left with severe neuropathy (cold, exrucitating painful feet and hands)- so severe he can barely walk. But David achieves the impossible—running ultra-marathons and half ironmnan- while raising big dollars for LLS. He does all of this with a giant smile and motivates people wherever he goes and often speaks at Team-in-Training events. He had his family have raised over $70K since 2010. Vicky Bevilacqua-True - Vicky is David’s sister, running partner and campaign manager, and the one who pushed him to run Man of the Year for LLS so his inspirational message could reach more people. Vicky was her chapter’s Team-in-Training’s top fundraiser for the SF Nike Womens Marathon in 2010 and the NY Marathon in 2012. She has raised over $30K in the past three years since she became involved and has been deeply impacted by the many people she has met on this journey. Tim Corliss - Tim has been a Head Coach for LLS’s Team in Training program for thirteen years. While he didn’t have a direct connection to the cause initially, he now has a deep connection to the cause through the thousands of people he has met. When he is not coaching, Tim is an executive Clif Bar. Lisa Strom - Lisa has been fundraising since 2010 with her husband Travis, running as "Team Strom" to support the LLS. Personal connection: Since we began our journey in honor of our friends Tony and Steve, they are both currently in remission thanks to "Be The Match" and LLS funded research. Liz Doliber - Liz has been involved with LLS since 1999, after losing her younger brother to Hodgkins Disease in 1997 after his 9 year battle. 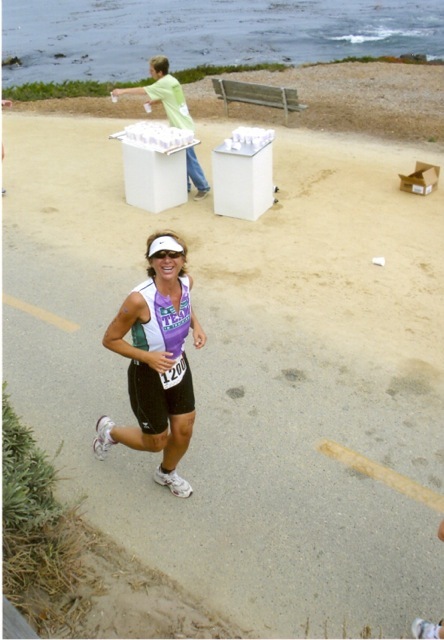 Since then, she has participated in numerous triathlons, marathons, century bike rides and also 2 IronMan events. She currently sits on the LLS Board of Trustees in Northern CA and has raised over $100,000 to fund needed research to cure the blood cancers. It is her hope that the blood cancers will be eradicated in her lifetime so no other family has to endure the divesting impact of this disease.